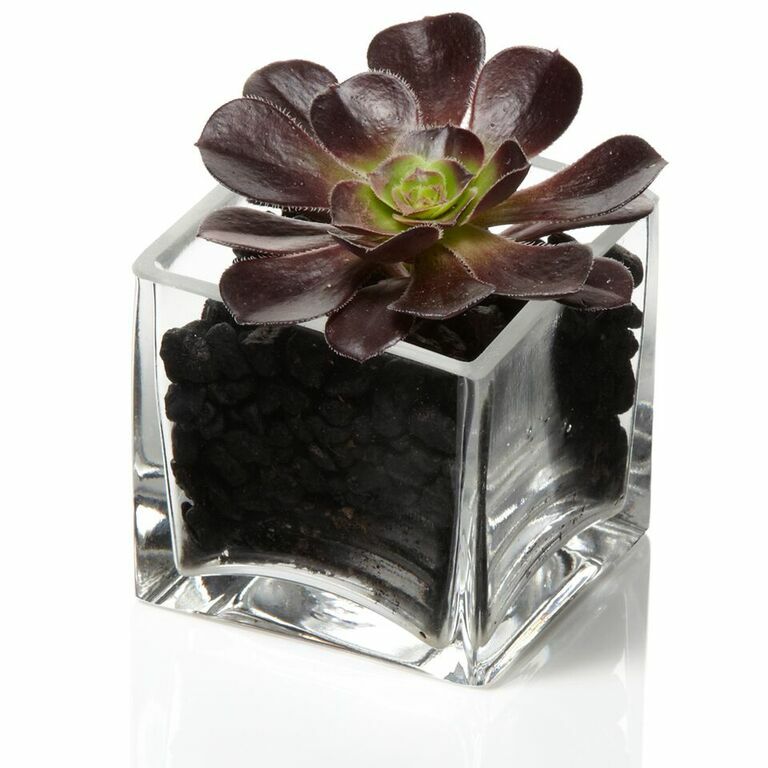 Set of 3 4'' premium glass cubes with one echeveria succulent neatly arranged in each. Florist planted using modern rock filling. Succulents may be burgundy (as pictured) or green.